Soil Health Card - How to Get Benefits of Soil Health Card? www.shc.aau.in - Narendra modi, our respectable prime minister launched the nationwide soil health card scheme on 19th February 2015. The scheme was announced in suratgarh town of sriganganagar district, Rajasthan. What are the advantages of it? How it will be helpful to farmers? All the information about soil health card is given below. The soil health card scheme aims to keep the soil of farm healthy and fresh. 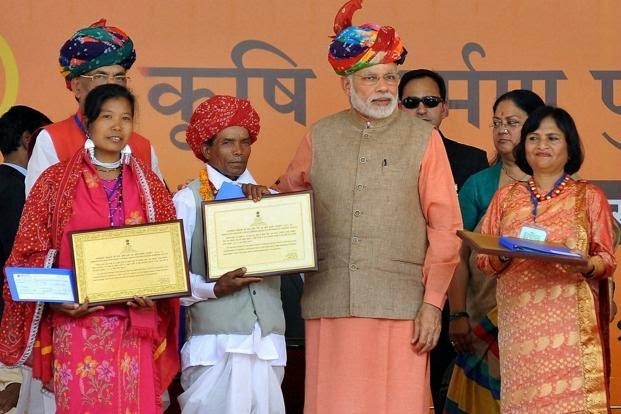 Narendra modi said that ‘we need to convert agriculture through scientific methods’. If we apply scientific methods in farms, then it will be beneficial for farmers and soil of the farm as well. Soil of farm should be tested and it will be good for farmers. If the soil has a problem then it will be sorted. The aim of soil health card scheme is to help farmers in enhancing productivity by proper use of fertilizers and nutrients. Here are the benefits of using soil health card scheme. Farmers of all over the country will approve government’s scheme and that will contain information about soils and types of crops to grow in different regions. The soil health card will provide the list of important components of particular patch of land. Moreover, card provides thorough information on numerous minerals present on the land, proper crops, fertilizers to be used, and acidic or alkaline land details. The health cards are based on values of ration card and it gives permanent identification and status of the land to farmers. Cards are made after an exhaustive examination of samples of soil gathered from land held by particular farmers. Scientists study the samples of land given by the farmers. They inspect their water content, presence of elements like potassium, phosphorous, copper, nitrogen, zinc, iron, clay content, and water preservation capacity. Farmers of India will have to adopt the traditional farming techniques and scientific methods of agriculture as well to elevate crop yields. Moreover, testing of soil will be done regularly. In addition, each farmer can save minimum 50,000 Rs. if they take agricultural decisions after testing the soil. After launch of the card, the farmers will be aware of quality soil and they will utilize correct fertilizers.